Narrow Escape 55ft Traditional Narrowboat is a lovely and well cared for 1990’s Colecraft owned from new by the sellers. A traditional stern style 55’ narrowboat, with a great sounding Lister LPWs3 engine which provides plenty of power for river cruising as well as the canals. The interior fit out is typical of the era with ash faced ply, some mahogany and American Oak trim. The boat is entered from the front well deck which has two wooden benches with plenty of space under for storage. This area is protected by a cratch cover. The drop down table allows plenty of light to this area. From here you enter the 23ft plus saloon and galley area which are kept warm by a new Morso Squirrel multi fuel stove with backboiler. A 12v Television and a hidden 12V car stereo provide the media entertainment for this spacious area. Fixed and moveable seating and tables make this area versatile – and with no screen to the galley, a great social space. Lots of shelving for books and ornaments along with several cupboards also add to the appeal. The galley features an eye level oven over the full size 12v/240v/gas fridge, plenty of storage space and tiled surface. There is also a microwave oven and Vanette gas hob. This area is heated by a large radiator from the stove backboiler. The bathroom is next, to the starboard side of the boat, and features a hip bath with shower over, a small basin and not one, but two portapottis – or is that a pair of portapotti. Through to the bedroom, the bed is 6’4” by 4’, lots of storage underneath and a large wardrobe along with an overhead cupboard as well. The bedroom is heated by a large radiator from the stove back boiler. Lastly is the back cabin, unusually spacious with lots of storage shelves and cupboards, the floor and centre boards all lift giving easy access to the engine space and other hidden storage. 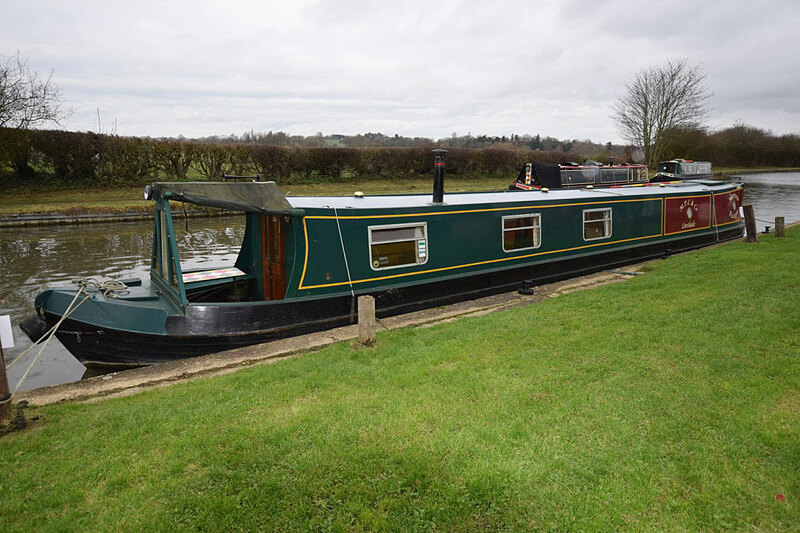 All in all, Narrow Escape 55ft Traditional Narrowboat is a lovely boat that has been well maintained, ready to go cruising round the system all year round or as a weekend getaway pad.